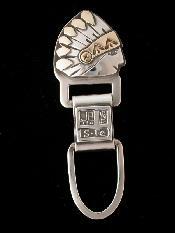 Sterling key chain on leather cord. Sterling skull on hand braided leather cord. 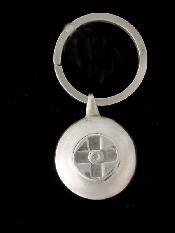 Sterling silver cross key chain. Sherlock Holmes? I don't think so. 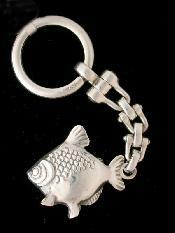 Just a whimsical idea for a sterling silver key ring. The fleet is in! Hi there sailor! 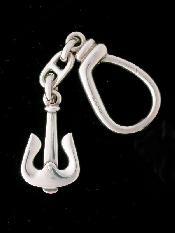 Sterling siulver classic anchor shape. There is nothing like gold. 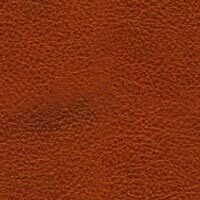 The sheen feel and lusture. Enjoy true luxury in 14K gold. We know you love us. 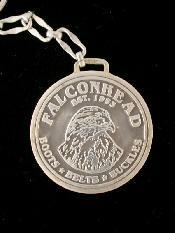 Now you can carry around the famous Falconhead logo. 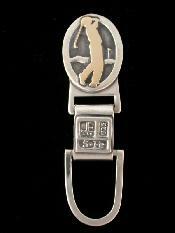 Made from sterling silver. Fore! Lower your score by one stroke with this key caddie. 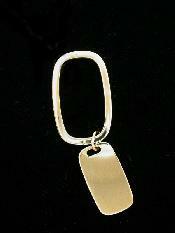 Sterling silver and 14K gold. 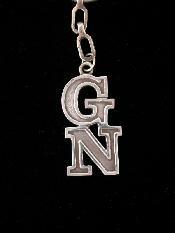 If your name is Gorden Numbscull then we have your key ring. Sterling silver. 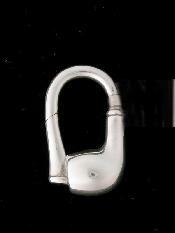 Toltecan image of good luck. The cross in sterling silver. 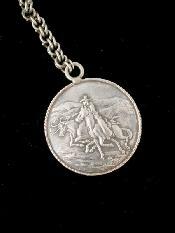 Finely executed western image fashioned on sterling silver coin style piece. The crafty squirrel at work. 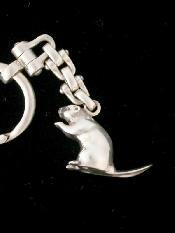 Here he is pausing and then frozen in sterling silver. 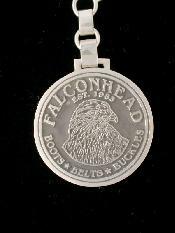 Featuring a different chain, this Falconhead logo sterling silver key ring still allows one to remember their favourite store. The feather ends and headband are 14K gold as you can see. The rest is sterling silver. I think I see a smile on his face. Grrgle, grrgle. Please don't swallow this one he's made from sterling silver.